The most critical part of assessing your customers’ needs is assessing those needs from the customer’s point of view. 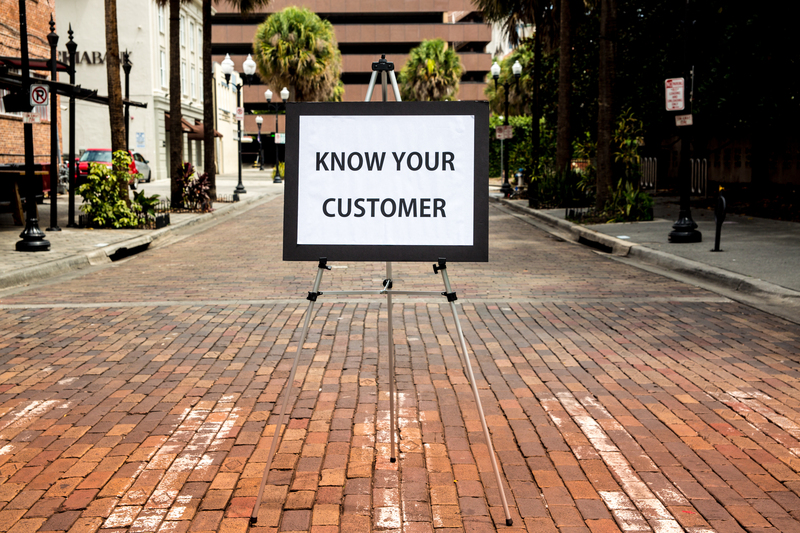 Frequently, business owners believe they understand the customer need, but in fact, they may not understand it from the customer’s point of view. We are often able to identify this by speaking to the staff members of a given business or practice and listening carefully to what they indicate the customers say or describe what they’re looking for. There are a variety of other techniques that we employ in investigating this critical issue. Marketing and advertising messaging which is not grounded in a clear understanding of the customer needs from their point of view will never perform at the highest potential level. Marketing activities, media selection, digital strategies, etc. have evolved over time based on the circumstances at that time. Taking a fresh in-depth look at all of those activities and evaluating their effectiveness and relevance to the current business circumstances can be a source of great insight and potential savings. CFMG looks at every facet of the marketing to ensure that it is contributing to the overall revenue growth of the business. In certain cases, the effectiveness of some of the marketing that has existed for a period of time is not known or tracked. In those cases, the first step is to put in place the necessary systems or tracking to determine the effectiveness of those activities. You can read more about this aspect of our process in “Establish Metrics for Measuring ROI”. Almost every business has come to understand the importance of digital media whether it be website design, SEO (Search Engine Optimization), email marketing, social media (Facebook, Google+, LinkedIn, Twitter), etc. The more difficult challenge is to determine which of these can make the most significant impact for the business and prioritize all these digital activities in a well-focused digital marketing strategy. Frequently, business owners are either approached or reach out to digital marketing companies who may sell them a whole menu of digital services without understanding or investigating the broader strategic marketing plan. The reality is that many businesses don’t develop their digital marketing strategy in conjunction with their other marketing activities. Keeping your digital assets in separate silos can reduce the opportunity to get greater effectiveness from marketing and media integration. A pilot would never take off from an airport without a detailed flight plan which will ensure that he/she lands in the city and at the time that his/her schedule calls for. For an entrepreneurial or professional business, it is equally critical that you have a well-researched and effectively designed marketing plan. This plan should serve as the flight plan for the business and all of its marketing activities. The plan should start with a clear, unambiguous statement of the goals and objectives of the business. Those goals and objectives should be understood by all the business team members who have responsibility for customer interaction, new customer acquisition, customer service, and of course, the entire management team. Much of what we’ve already discussed in the CFMG process is dabbing the necessary insight and research to ensure that the strategic marketing plan will be properly tailored to the specific business. The best strategic marketing plans are not static documents that once developed are put to the side, but rather a group of concepts and steps that are constantly evolving to meet the ever changing nature of the business. We provide greater efficiencies, effectiveness, and accountability for each and every marketing dollar you spend. We provide you with the critical, expert evaluation and analysis about who your target is, the best way to reach them, and what message will be the most effective to getting them to act. Our professional team of marketing experts executes your entire marketing strategy with a focus on delivering you more customers from each marketing dollar you spend. We also provide you with a higher level of accountability. One of the great aspects of our new emerging technologies is that they provide higher levels of insights and trackability. The key is making sure there’s a regular process in place to extract that insight and information to ensure that cost effective results are being maintained. Tracking website performance on Google Analytics, as well as tracking landing pages with proper coding, contact forms, PPC and other campaigns with tracking codes, etc. all provide clear means for measurement of new business acquisition. We believe call tracking information can not only be used to evaluate cost effectiveness, but to also ensure that the business has a consistent and effective customer interaction. At the core of a cost effective marketing plan is the ability to negotiate and purchase the necessary media and services with the greatest possible cost efficiency. Our expert Director of Research and Media has extensive experience in television, radio, outdoor, and print media buying, but we do more than just negotiate for lowest pricing. We execute a media partnering approach, which is focused on challenging all media partners to participate in meeting our clients’ goals. This approach combined with in-depth research and market knowledge maintains an extremely high level of accountability along with a focus on creatively delivering the best results from each media we use. Unlike traditional advertising agencies, media buying and service selection is not a source of revenue for our company. To ensure complete transparency, integrity, and confidence in our clients’ belief that we are operating in their best interest, we do not markup or add any additional charges to the work we provide. In addition, we pass along any earned media discounts directly to our clients. The biggest challenge many businesses face in marketing is to avoid the “said it and forget it” approach to advertising or marketing. Our team is continually reviewing and evaluating every aspect of our clients’ marketing efforts. This commitment not only ensures that our media partners are continuing to deliver effective results, but it can also serve as an early warning system for marketing changes or shifts. We not only continually review our clients’ marketing, but the marketing and messaging of their competitors. This constant reviewing process also allows us to update our metrics on ROI for various media or marketing efforts. This continual process also allows us to identify in a more complete and detailed manner the potential seasonal fluctuations of our clients’ business. Just like in the real estate business it’s “location, location, location”, in effective marketing it’s “communication, communication, communication”. That’s why CFMG establishes, at the very beginning of our new client relationships, all the necessary mechanisms to sustain ongoing communication with our clients and the business team members who are responsible or are affected by our marketing efforts. In the early stages of the new client relationship, there is usually a need for more frequent meetings or opportunities to communicate. This is typically followed with a regular and well-structured monthly marketing meeting. We work diligently to understand the best ways to communicate with our clients, always being respectful of the enormous demands on them to running their business. These well-structured communications allows our clients to have detailed insight into the marketing expenditures, new opportunities, changes, and of course, performance of the entire marketing effort. It is also critical that we’re regularly communicating with the key business team members to ensure they are aware of our marketing efforts and that they feel free to provide feedback.